Whether you’re traditionally published or an indie author, doing guest posts on blogs aimed at readers and writers is an excellent way to get the word out about a new release. But it’s easy to write one or two posts and then feel like you’re repeating yourself. 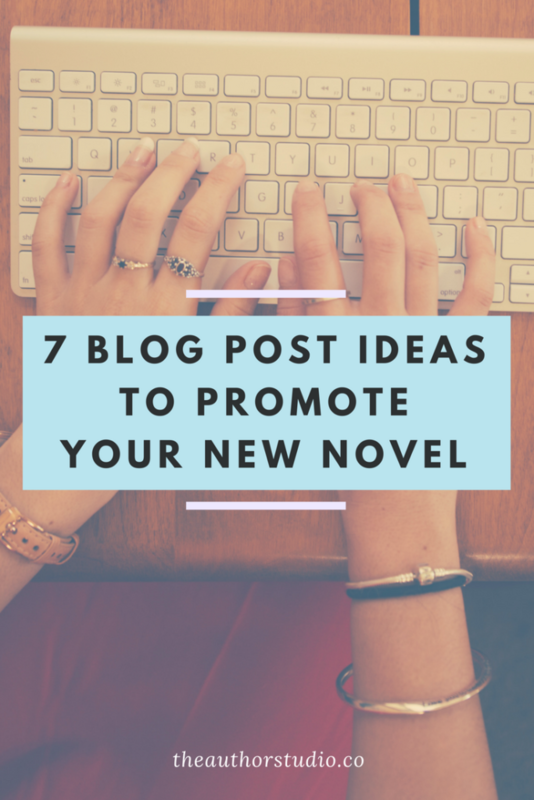 Want some fresh ideas to hook in readers about your latest book? Here are some post ideas to get you going. Do you listen to music while you work? Did a particular artist or soundtrack inspire your writing? Great! Throw together a shareable song list (in Spotify, for example) and write a few paragraphs about what the music means to you. Sit down with your main character and interview her as if you’re writing a newspaper article. It could be a straight-up profile of her as a person, or an interview more related to the plot of the book—whatever brings out her originality. Speaking of newspaper articles, you could also play journalist and write a piece from the perspective of a publication within the world of your story. What’s going on in there? Can you include some weather reports? Sports scores? Quotes from colorful characters on the street? For a more writing-focused blog, talking about your writing process can be a huge draw. But instead of trying to scare up some material about your “inspiration” (who can ever pin that down, anyway?) try something more concrete: pull out two copies of the same scene, one from an early draft and one from the final, and discuss what changed. You can either quote directly from the lines themselves and analyze word choice, or just give a bird’s-eye view of all the tracked changes and/or margin notes you made in the process. If you worked with an editor, you can have them chime in, too, to discuss their end of the process. Similarly, readers love peeking behind the curtain and seeing how covers get made. If you worked with the designer yourself, you can go in-depth about the discussions you two had, how you selected color scheme and artwork, and how you tweaked the design to get to the final product. If your publisher made the cover for you, you can ask for some in-process covers (if they’re okay sharing them) to discuss, or else just talk about why the cover works for you and how it represents your novel. Finally, titles can and often do change—but you’d be surprised how few readers know that. Talk about what went into your original title, what it means to the book, why it changed (if it did change), and how you hope it’ll reflect the book to readers. A grab-bag post idea for when you’re coming up a little empty, this topic allows you to frame anything that you encountered on your publishing journey in a neat format. Make a list (like a Top 5) or just ruminate in paragraphs about all the unexpected lessons that cropped up along the way, and don’t hesitate to show some personality.